The loss of a child during pregnancy can be a traumatic event associated with long-lasting grief and psychological distress. 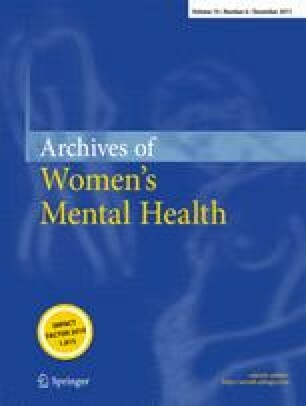 This study examined the efficacy of an internet-based cognitive behavioral therapy program for mothers after pregnancy loss. In a randomized controlled trial with a waiting list control group, 83 participants who had lost a child during pregnancy were randomly allocated either to 5 weeks of internet therapy or to a 5-week waiting condition. Within a manualized cognitive behavioral treatment program, participants wrote ten essays on loss-specific topics. Posttraumatic stress, grief, and general psychopathology, especially depression, were assessed pretreatment, posttreatment, and at 3-month follow-up. Intention-to-treat analyses and completer analyses were performed. Relative to controls, participants in the treatment group showed significant improvements in posttraumatic stress, grief, depression, and overall mental health, but not in anxiety or somatization. Medium to large effect sizes were observed, and the improvement was maintained at 3-month follow-up. This internet-based cognitive behavioral therapy program represents an effective treatment approach with stable effects for women after pregnancy loss. Implementation of the program can thus help to improve the health care provision for mothers in this traumatic loss situation. Anette Kersting and Kristin Kroker contributed equally to this work and should both be considered first author. We are grateful to all the women who participated in this study. This project was fully funded by the German Federal Ministry for Family Affairs, Senior Citizens, Women, and Youth.